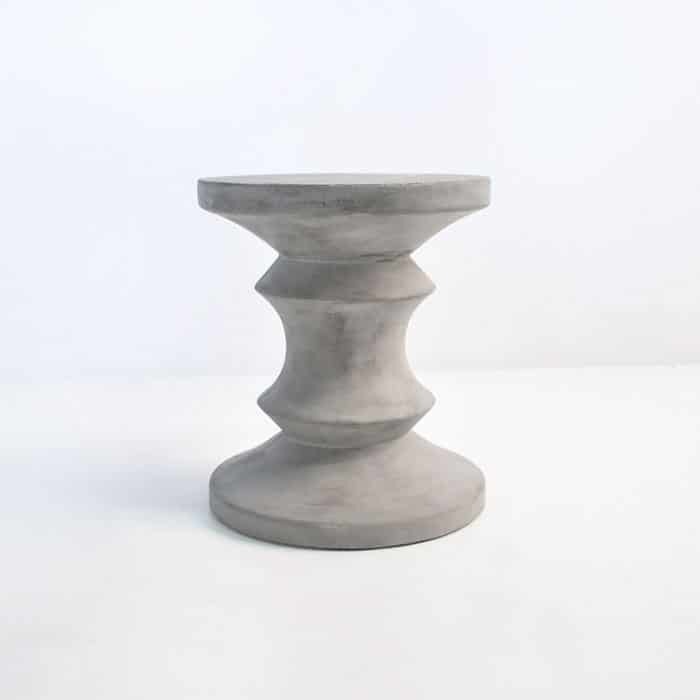 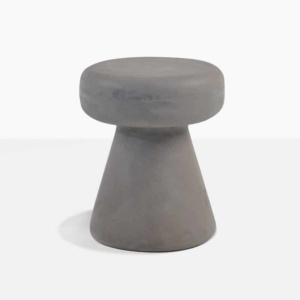 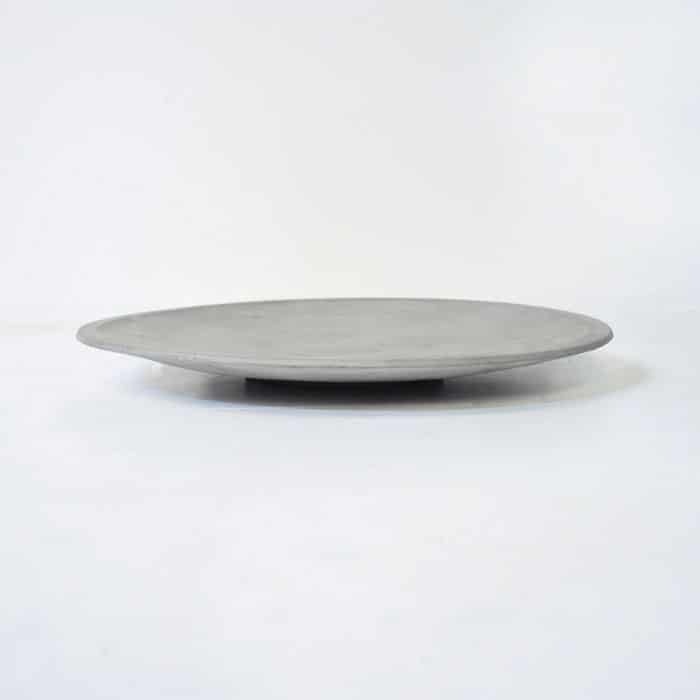 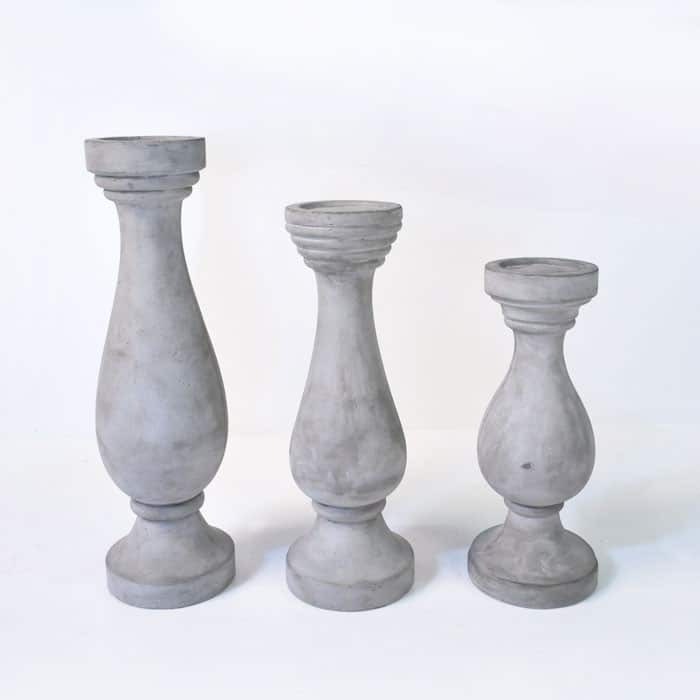 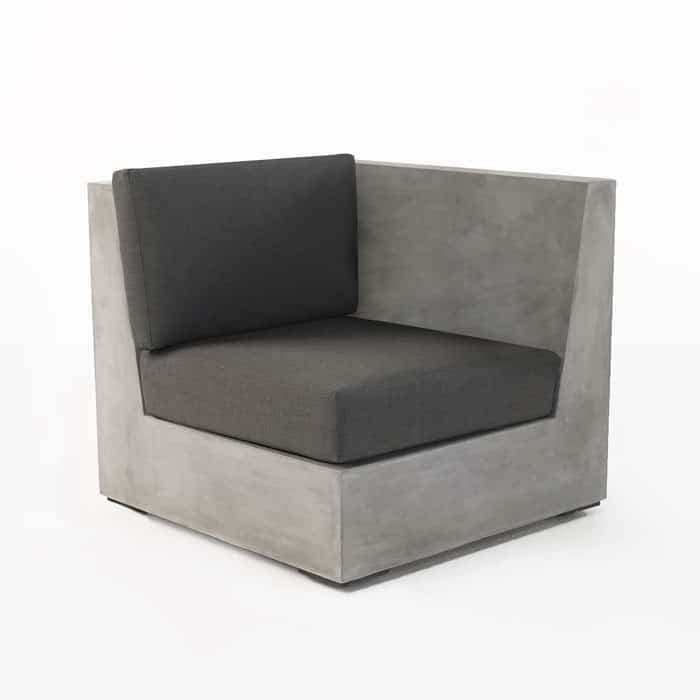 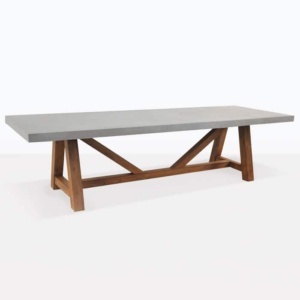 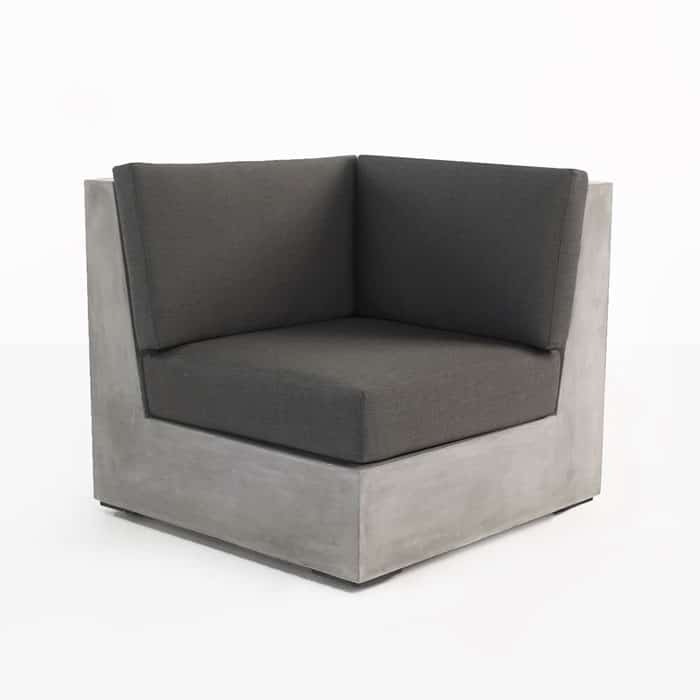 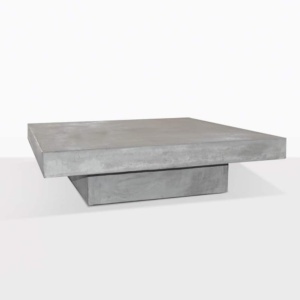 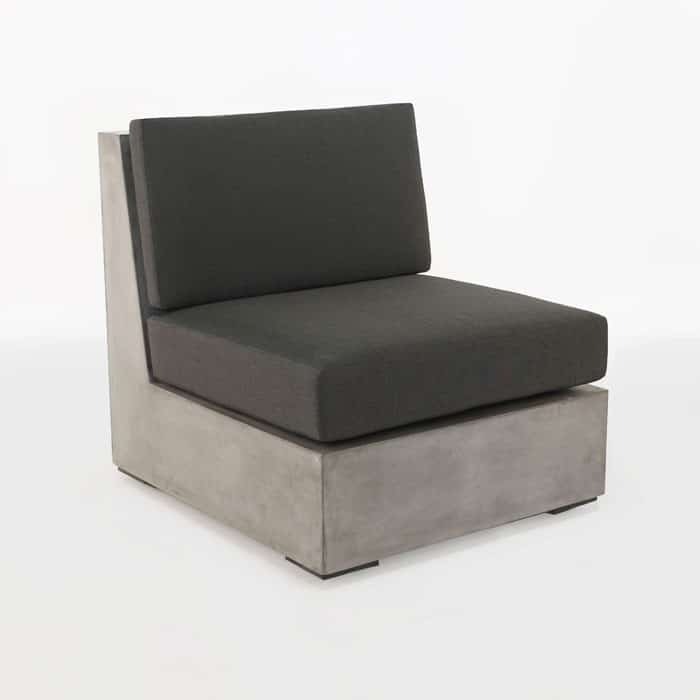 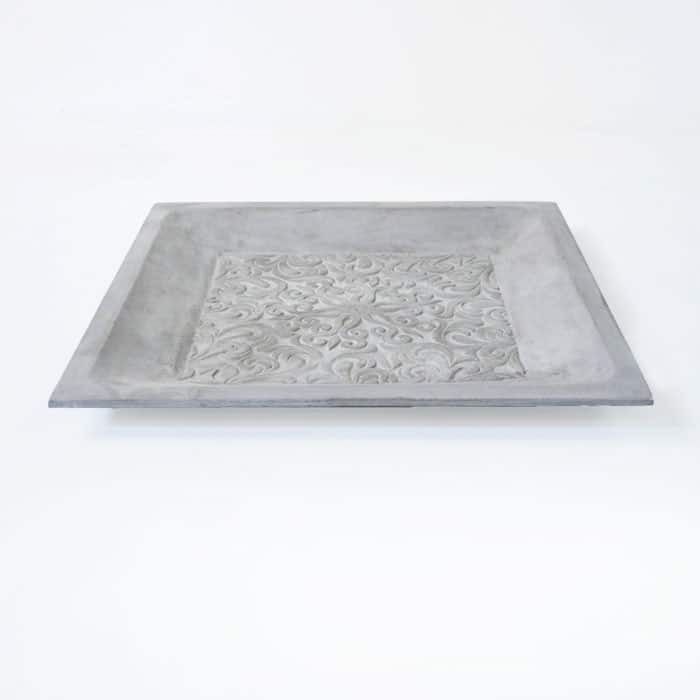 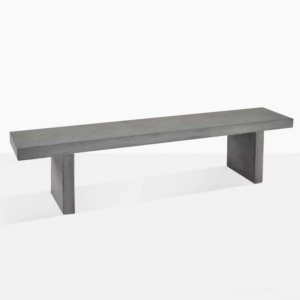 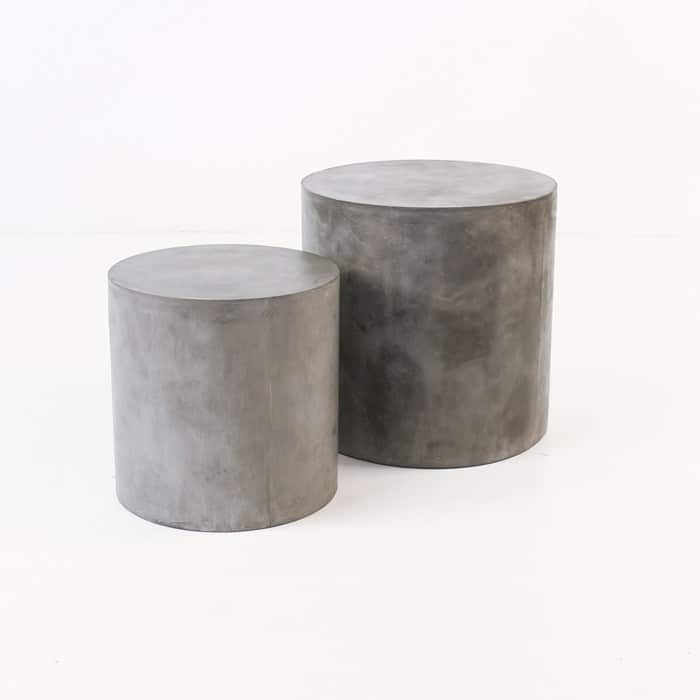 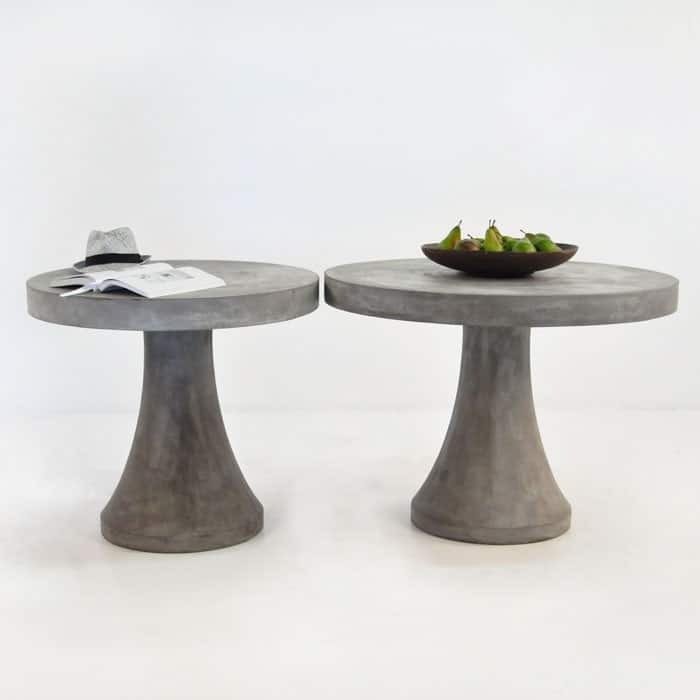 Our concrete furniture is a best seller at Design Warehouse. 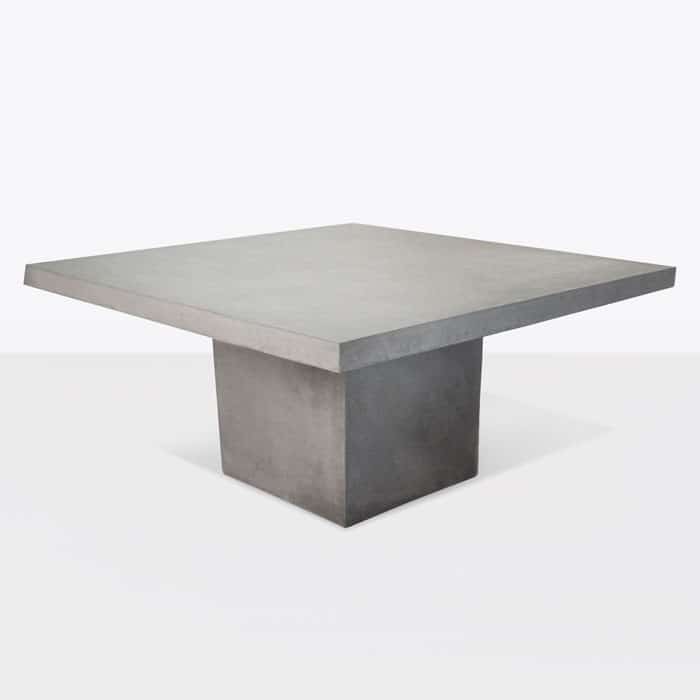 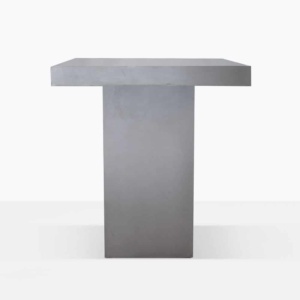 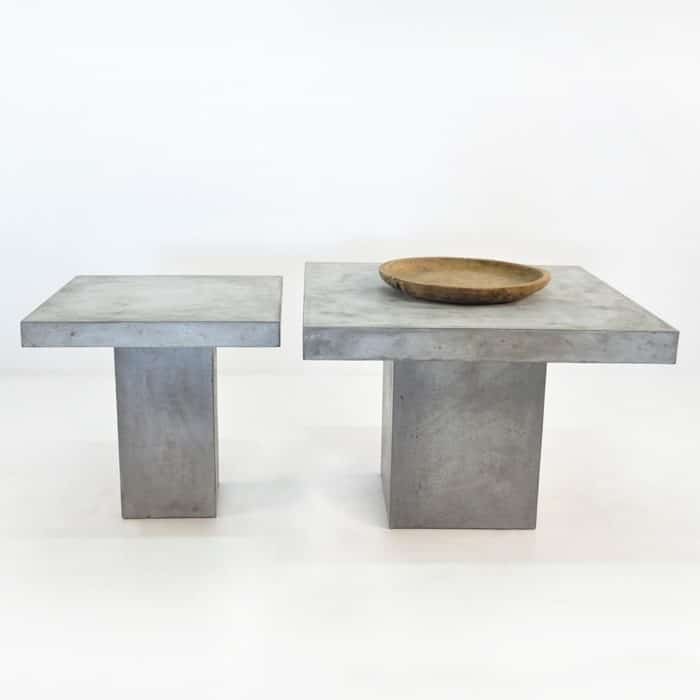 A huge range of tables, benches, charming stools and even deep seating; the concrete collection is available for use outdoors and it may even be used indoors. 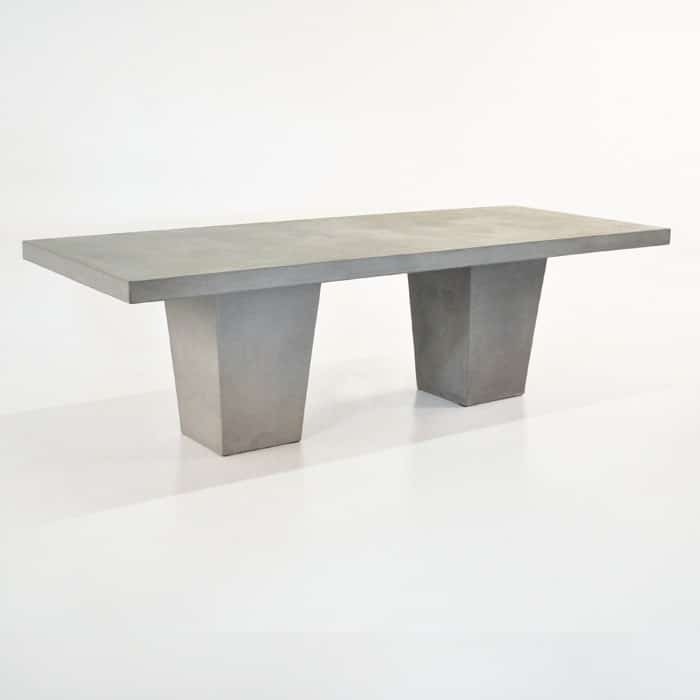 A blend of concrete, fiberglass and resin mean that the furniture is lighter in weight and less susceptible to breaking. 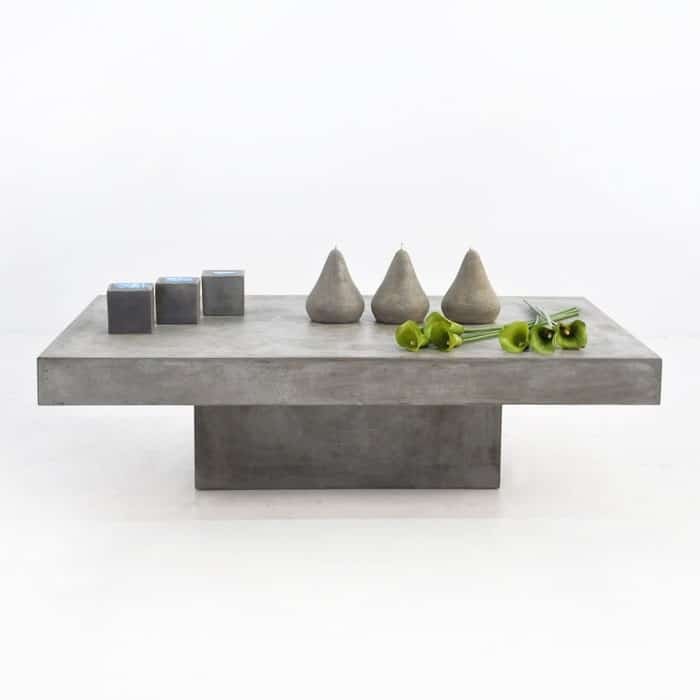 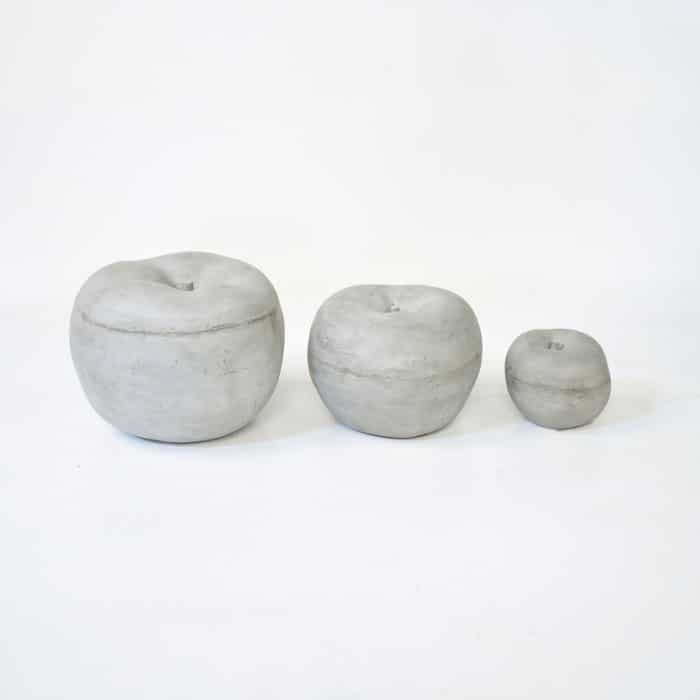 Concrete furniture has a natural, urban, raw feel which develops and changes over time. 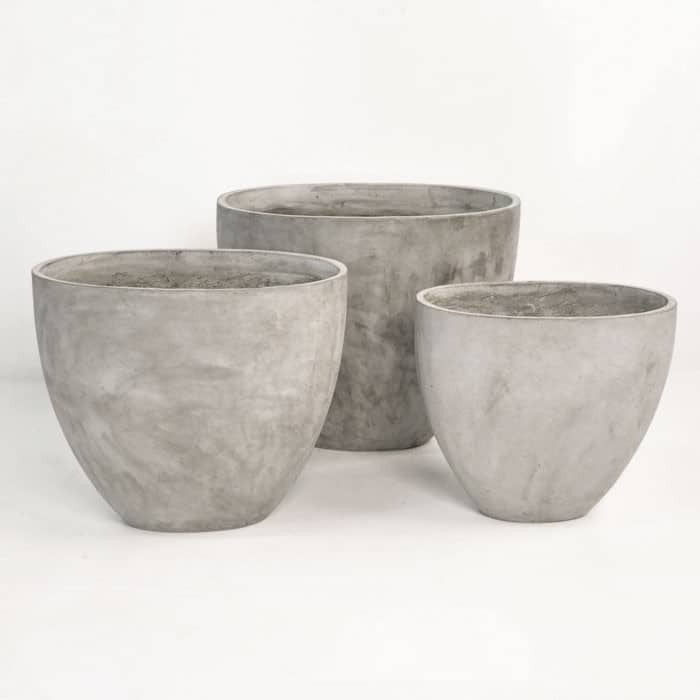 We are proud of our concrete collection, it is contemporary, rustic, dramatic and appealing. 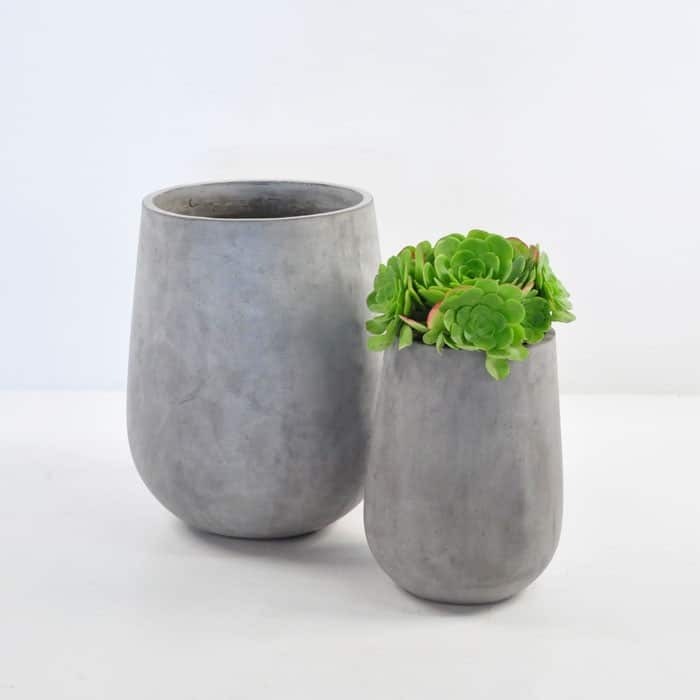 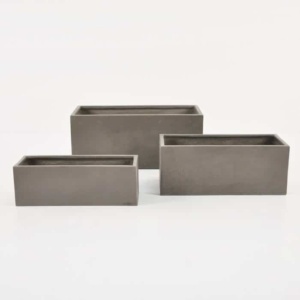 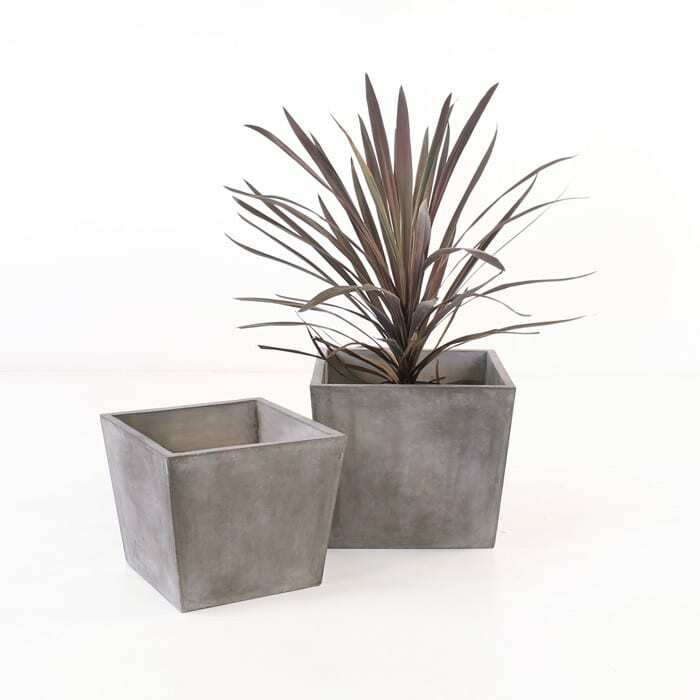 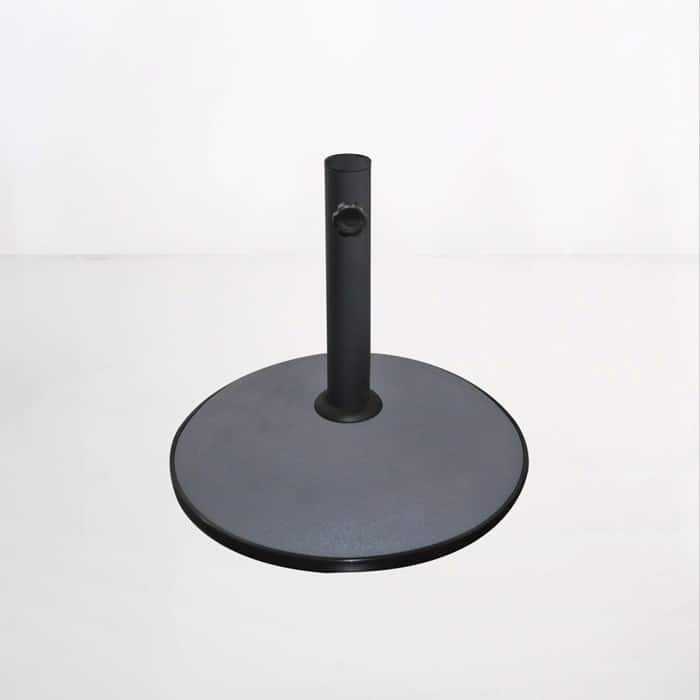 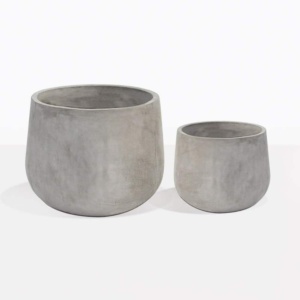 Concrete Tables can be paired up with matching benches or mixed up with mesh, and stainless steel chairs for an even more modern look; while our accessories like planters and bowls are fantastic additions to really personalize your space. 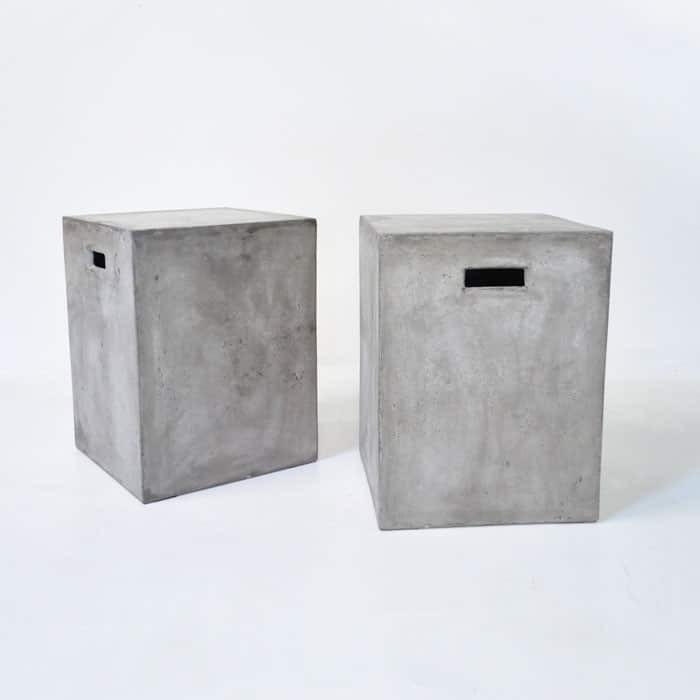 This incredible state-of-the-art product will change the way you live in the outdoors. 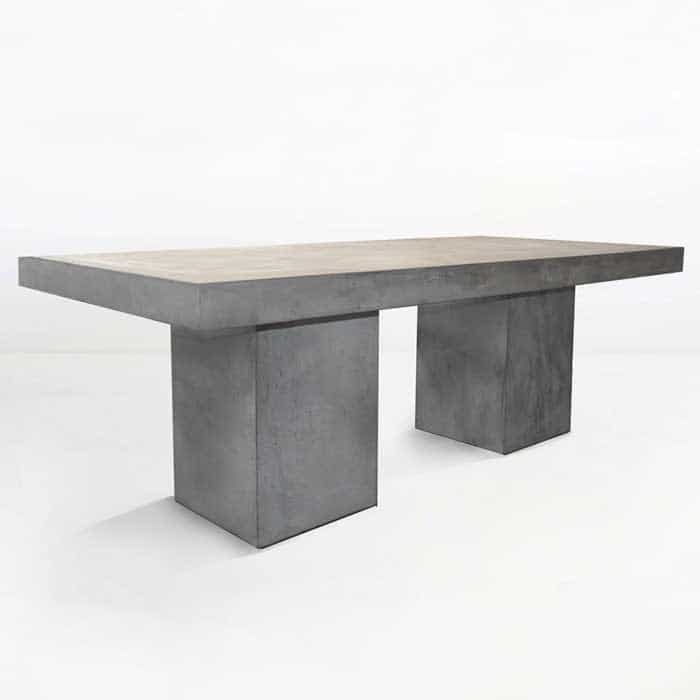 Concrete contributes urban glamour with a hardwearing, modern, industrial quality. 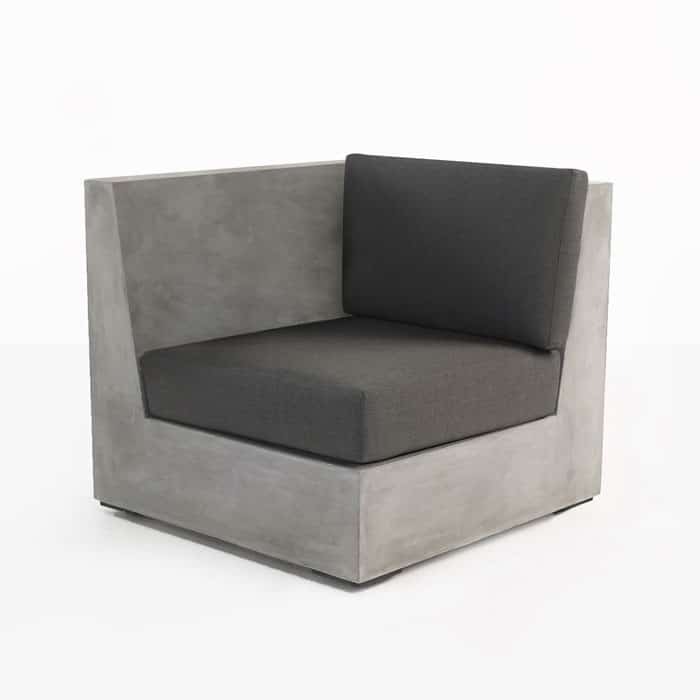 Designer furniture is available for you today with these amazing products. 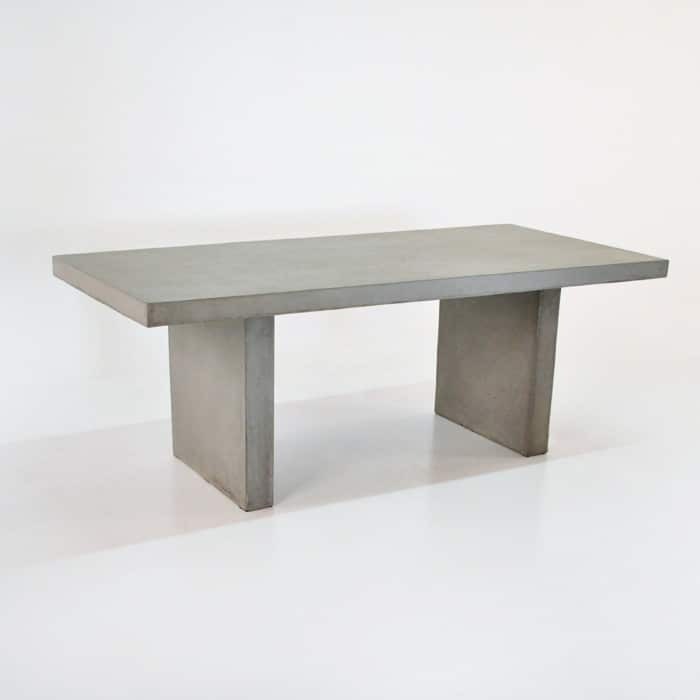 We love our concrete furniture indoors as well as outside. 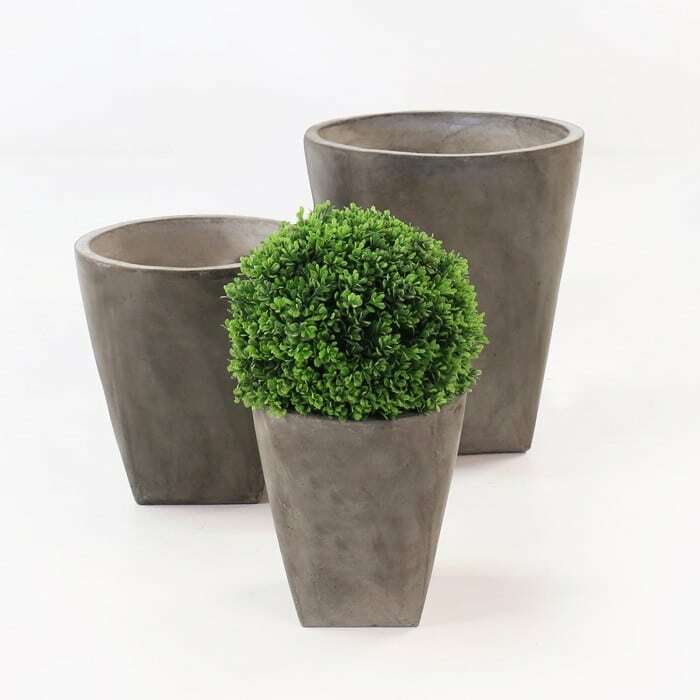 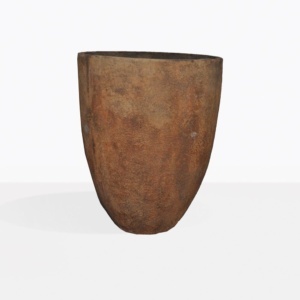 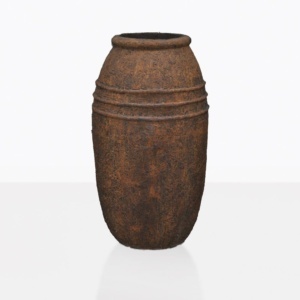 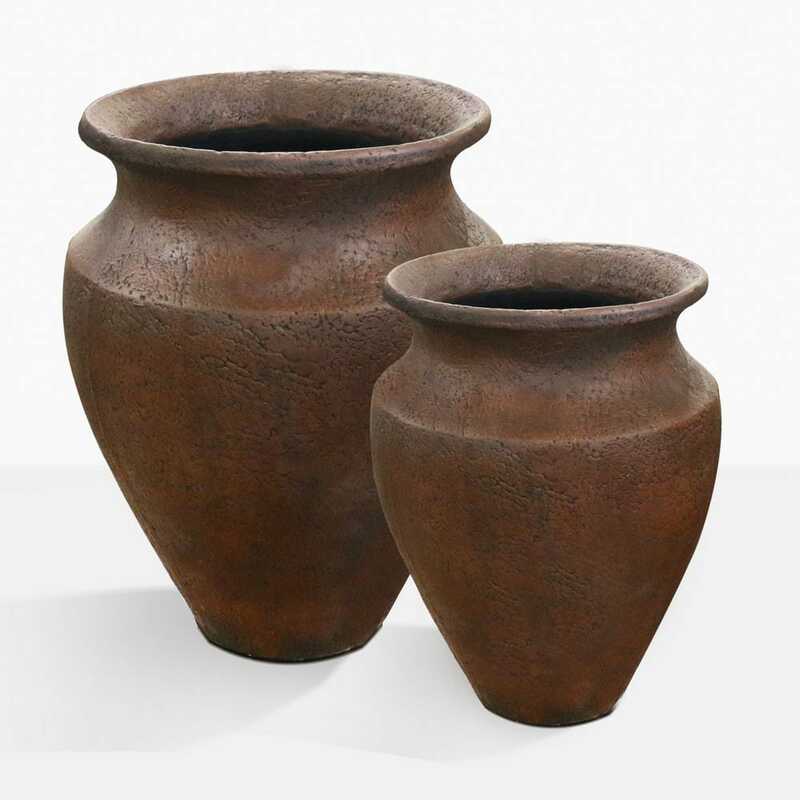 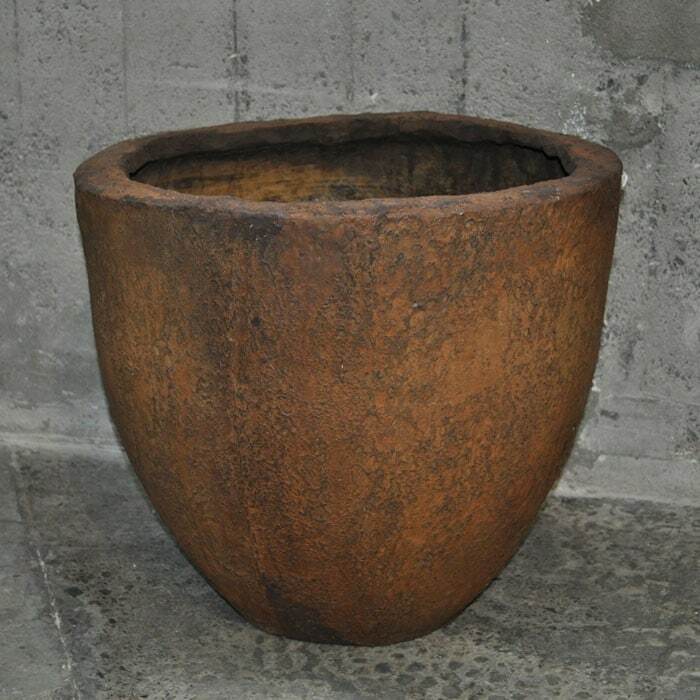 From the planters, to dining tables to accent pieces, add some solidity and substance to an interior design. 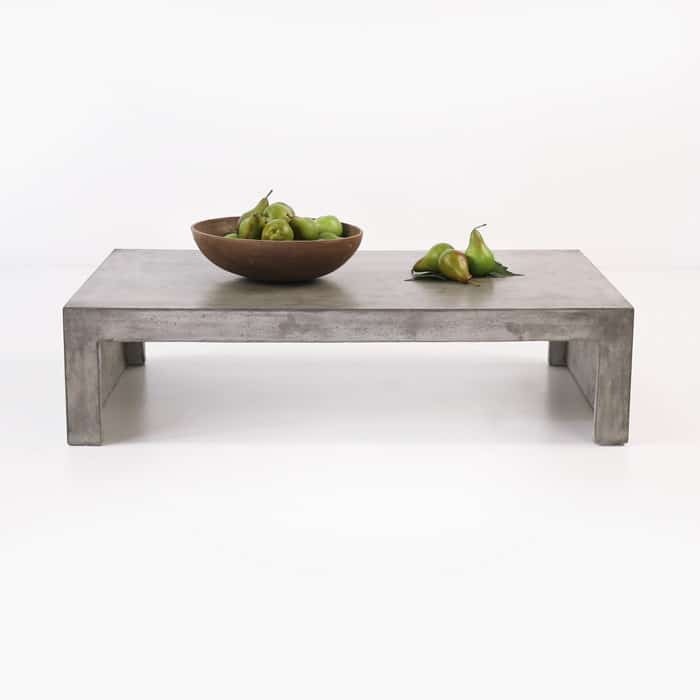 Concrete composite is mildly absorbent so rainfall and spills that aren’t wiped will change your piece of furniture to having a rustic look, and be slightly darker or lighter in areas. 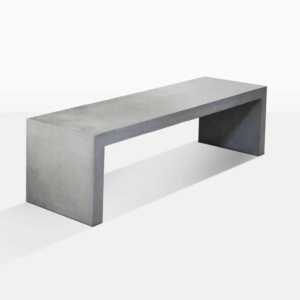 Concrete is also known to develop hairline cracks under the sun. 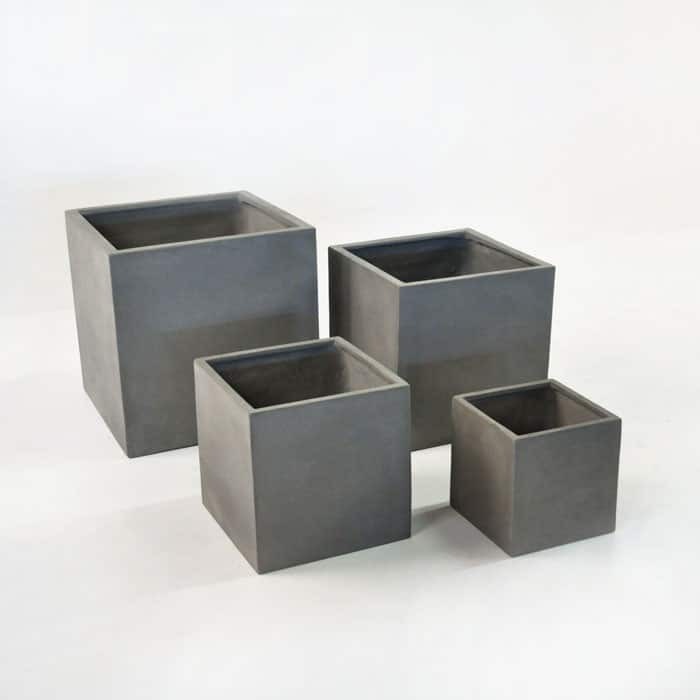 This is what happens after extreme exposure to the elements and not something that should affect the integrity of the framework. 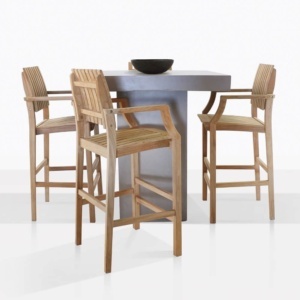 Our customers find these changes attractive and pleasing, only adding to the unique, stylish piece of furniture. 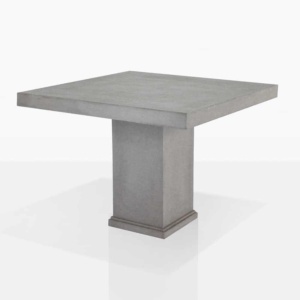 However to minimize these changes, you must invest in a concrete sealant, which will assist in absorption.